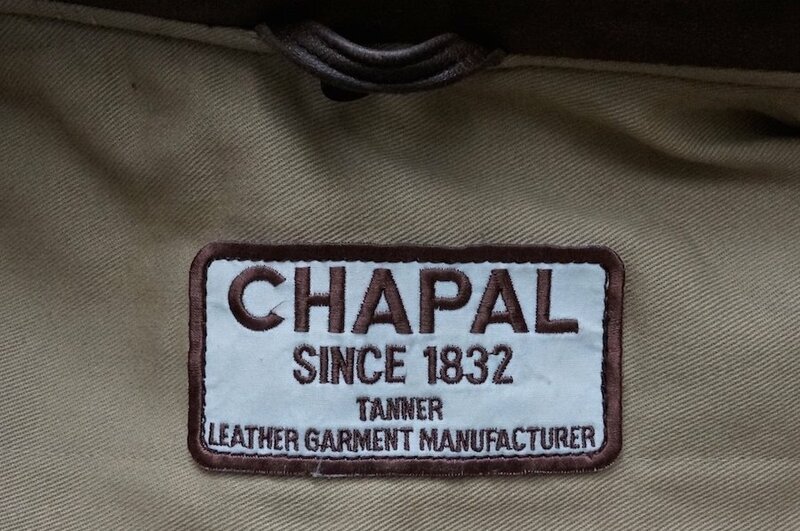 Chapal are a old, high-quality French producer of leather jackets and coats. They make a few things that won’t be to readers’ tastes (T-shirts, painted chairs) but it’s worth turning a blind eye to that and focusing on the jackets. 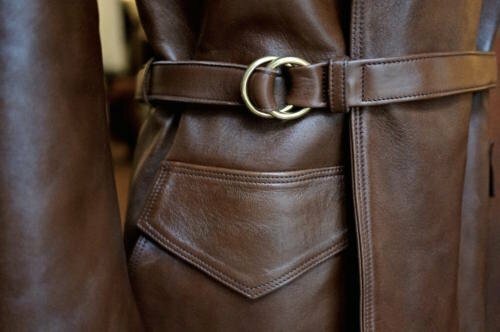 More usefully, I have also watched a Chapal jacket age slowly and gracefully over the past year – on Gaziano & Girling patineur Thomas Brunschwig. 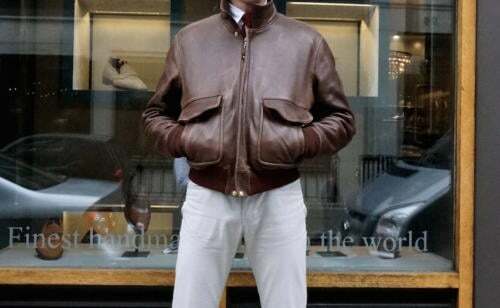 Thomas bought a made-to-measure ‘USAAF’ jacket last year and wore it through the winter, pretty much every day. 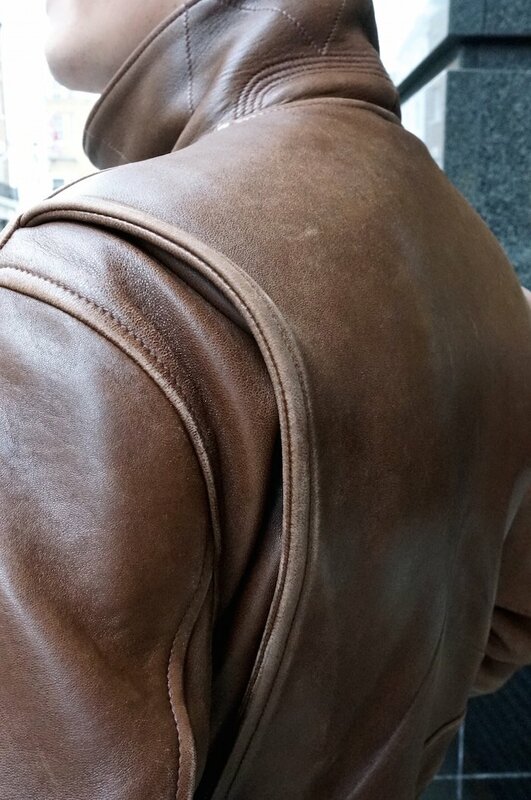 The sheep leather has acquired a nice patina, darkening around pockets and lightening on exposed edges. When you put on the jacket, or indeed any other model in the Chapal range, the quality is immediately apparent. The leather is veg-tanned and beautifully soft (Chapal has its own tannery – pretty rare these days), the hardware is solid, and the lining is a really thick cotton drill. I’ve shown a few pictures here of Thomas’s jacket, as well as a shot of Francois Pourcher at Corthay wearing the same model (top). The model worn by Thomas and Francois is directly taken from a US design, hence USAAF, and has a detachable rabbit-fur collar. Alongside the shearling B3 and English version (RAF), it also offers original designs for the A1 and A2 jackets. Below is the earliest design for a flying jacket – supplied to the French airforce during WWI. It is cut much longer in the body that later designs, but is cinched effectively at the waist to keep it warm and tight fitting during flight. Chapal has both its own tannery and its own fur factory. The fur is supplied to other companies as well, but the tannery is just for Chapal’s production. Even more unusual is that Chapal makes absolutely everything itself, from driving shoes to fibreglass helmets. The company was founded in 1832 and has remained in the family ever since. It is now on its seventh generation, with around 35 people working there including the tannery. Jean-Francois Bardinon took over as creative director in 1982 and has pushed the company into more lines and more modern designs (though as I said, I prefer the classics). There are a few stockists around the world, but most customers have jackets made to order. The advantage of this is that small changes to the fit (eg longer arms) can be done with only a small surcharge. A full made-to-measure service is also available, but costs 20%-40% more. 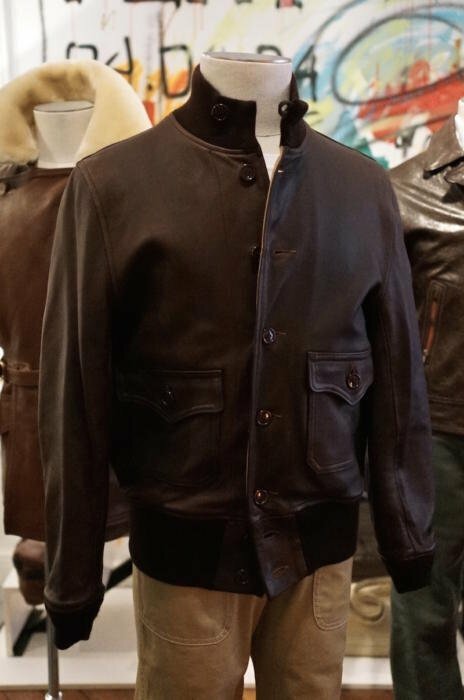 The USAAF jacket starts at €2600 and shearling pieces such as the RAF are €3100. You can follow the discussion on Chapal leather jackets, France by entering your email address in the box below. You will then receive an email every time a new comment is added. These will also contain a link to a page where you can stop the alerts, and remove all of your related data from the site. Insightful as always Simon. I’ve often wondered who and where the best bespoke leather jackets makers are. I’m a long way from being able to afford one but I’ll make a mental note of Chapal. 1. For a suede version of the A1, what brand/manufacturer would be your first choice? I am tempted by the Al Bazar version, I guess the manufacturer should be Valstar or am I wrong? 2. Do you know where the largest selection of Mandelli could be found either in London or in Milan? Finest words for this Brand that deserves to be discovered for those who still have not heard about ! Thank you Simon for those comments on the essence of our products ! Chapal looks to be lovely quality but rather boxy/old school in fit. Where in London would be the best place to go for those Valstar slim fits mentioned earlier in the comments or something in similarly high quality and wearable? Am a young chap after a slim fit leather jacket that will last forever rather than the usual designer/high street disposable offerings. It’s actually quite slim – you can have it made to measure too so can be as slim as you like. However, any jacket like this with an elasticated bottom is designed to sit tightly there and then expand slightly above the waist. It’s the style rather than the fit. Shaya at Exquisite Trimmings does Valstar jackets. Elsewhere there aren’t many traditional manufacturers of such pieces in the UK. You’re best looking at places like RRL, the only problem being there of course that the styles change so much from season to season. Go to http://www.valstar.it, then inside cick “valstarino e-shop”. Hi Simon, is the leather calf leather or a more robust type? Also for those looking for slim fit the pending return ( – according to recent Parisian & Milanese catwalks) of pleats and looser cuts will suit the fuller, shorter style of these jackets. These leather jackets are really wonderful, especially good for travel or when has to queue, say, in front of the Grand Palais or the Musée D’Orsay in Paris, whereas it’s cold. At best, worn under such circumstances with a crew or rollneck. Then, one can really appreciate their usefulness! Very nice of you to present beautiful French craftsmanship. Chapal is indeed wonderful. I also discovered it thanks to Thomas. I have to say I am impressed. It’s even better than Seraphin which I already loved very much. Have you tried any of the jackets from aeroleatherclothing? Not myself, but I have seen others that have them. Simon, thanks for the post. I have admired Chapal’s jackets for while. They have some very nice designs. I have a couple of leather jackets. 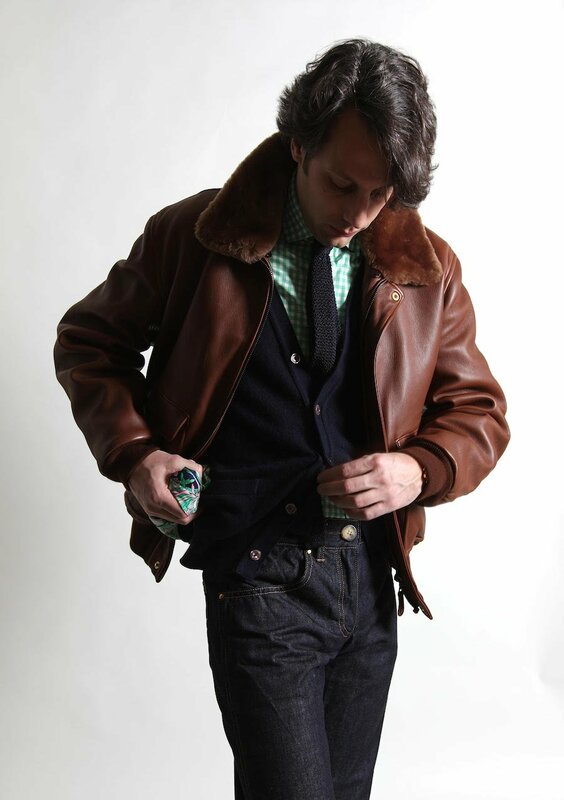 A lovely cashmere lined, elk hide jacket by Loro Piana and a 1930’s half-belt by Aero. The Loro Piana jacket is a great, modern design and beautifully made. The Aero is recreation of a piece of 1930s workwear which, whilst well made, is not finished as well as the Loro Piana. With that said Aero offer a made to order service with a large choice of leathers and an even wider choice of linings. Their Horween chromexel horsehide leather, which my jacket is made of, has far more colour and character than the elk hide of my Loro Piana jacket. 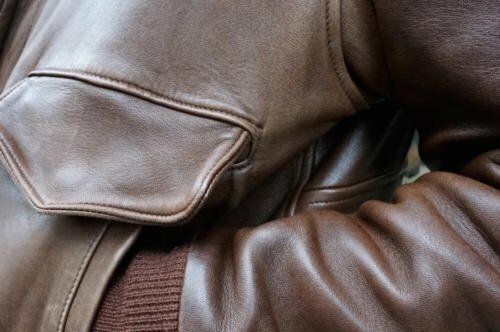 For me the Loro Piana jacket is a fashion item but the Aero jacket is a companion for life, more akin to a Barbour jacket. The result is that I have far more affinity for the Aero than the Loro Piana. Thanks Jon, you make some good points. I have both Loro Piana and more original recreation jackets as well. Loro Piana ones will certainly not be designed to wear in, and therefore become as personal or last in the same way as Aero. But the finishing will be much better, as you say. We should be careful not to mix up make and materials though, as well. 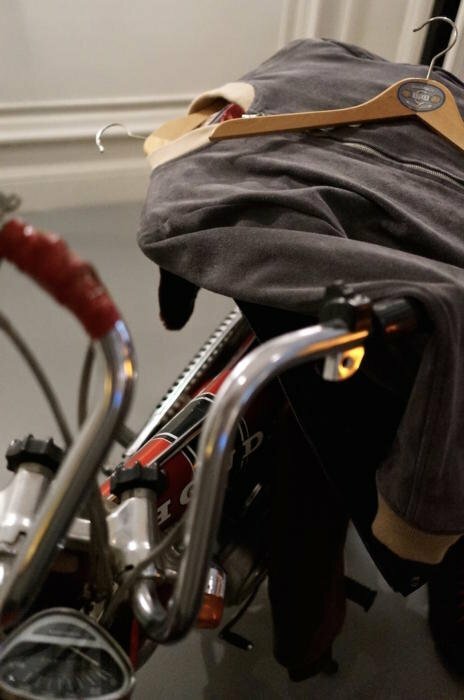 For example, you could get a horsehide leather jacket from RRL, which would wear in as well as the Aero but have better finishing. 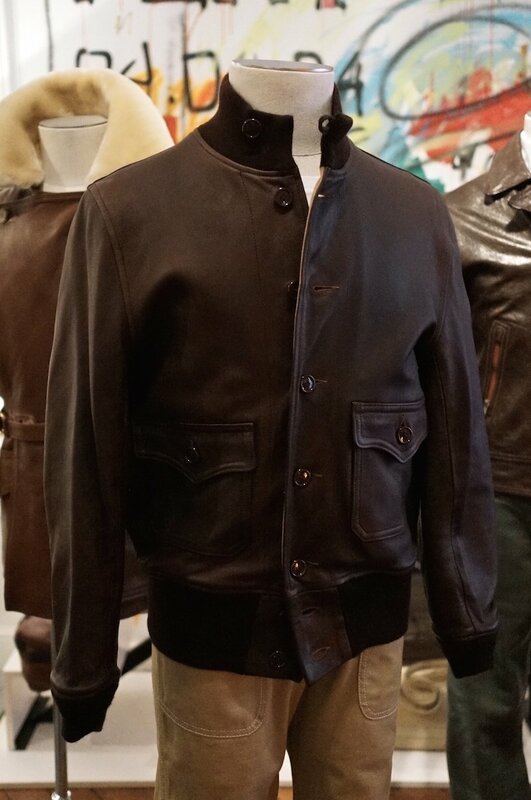 Nice jacket but not anything like a USAF A2, from the pleats on the back (and the fur collar) it is actually based on the USN G1. 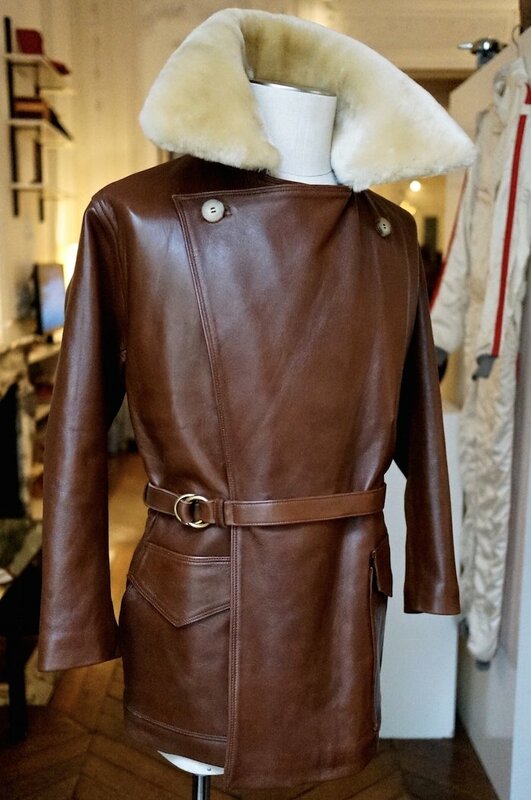 Aero do nice jackets and have the heritage but I find Aviation Leathercraft, who currently supply the RAF, http://www.flying-jacket.com are the chaps, I have an A2, an RAF Tornado and an Irvin of theirs and think they will last me out! Hi Simon, I have often admired Thomas’ jacket but never wanted to ask him where he acquired it (some how it seems rude to ask) so this artical put me on the right track, for which I thank you. I ordered mine in July however due to the French summer holidays it arrived today, I was surprised to find that the label inside seems to suggest these jackets are made not in France but rather in the US? It is beautifully made so I am not too concerned but I had thought Chapel manufactured just outside Paris not NY. Out of curiosity I will pop a message to Laurence and see what she has to say, in any event I am delighted with the jacket. nice to hear you are delighted with your CHAPAL jacket recently received form our manufacture. Just a quick sign to share with all readers : CHAPAL collection is now entirely created and produced in France, near Limoges where the ancient factory was born in 1832. All the pieces you can order and find in our website come from our traditional production unit which can offer bepoke itmes too. Wishing you all the best moments with your second skin…we thank you for chosing our brand. Hi, i have a Chapal USAAF jacket that is a simple bomber style. It is green with the classic brown cuffs and trim. Is it something that holds value if only worn a few times? And where would be best to put this up for sale?